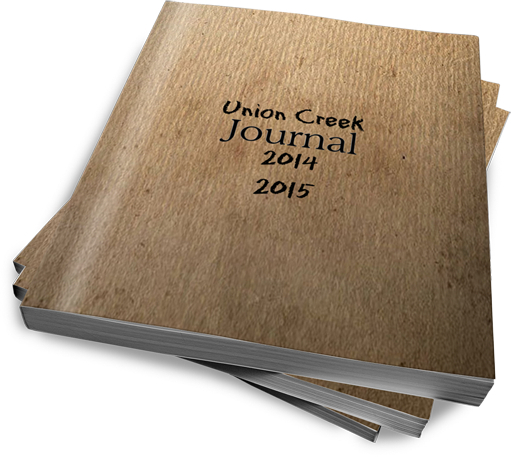 I have some good news and some bad news about the sequel to The Union Creek Journal. First, the good news … I have been making progress on the sequel. I have the outline and several chapters done. Now, for the bad news … progress is much slower than I had hoped. Due to a number of professional commitments I haven’t been able to spend the time on The Journal’s sequel that I wanted. Obviously, I’ve already missed a couple target dates. I know there are a lot of folks out there who have been waiting very patiently for the sequel to be released. Please accept my apology for the delay and rest assured that I will continue to chip away at the sequel as time allows. Unfortunately, until writing actually pays the bills it has to take a back seat to that which does. I’m sure many of my readers have been party to in-person or online arguments about “gun control” over the last few days. To the extent possible, I’ve tried to avoid being sucked in to arguments with the idiots who want to sacrifice the Second Amendment on the alter of “doing something” about the tragedy in Newtown, CT – even if the something being done has proven to have no positive effect on accomplishing the goal we all share. I don’t know of anyone who doesn’t want to eradicate mass murder from our society. On that, everyone (except the mass murderers) can agree. Unfortunately, the shared vision divides sharply shortly after everyone agrees that we would like to stop mass murder. For a number of reasons, a segment of our society believes that banning “assault” weapons – or all guns – will somehow magically keep criminals from … being criminals. This is not Utopia. Weapons bans do not contain fairy dust to sprinkle over the populous eradicating undesirable behavior. If anything, weapons bans do the exact opposite. It’s a lengthy piece, but well worth the read. Pass it on! They say you can survive three days without water. Whoever “they” are … they probably never tried. I’m on day number two without water. My tongue is swollen. It feels like I have a dry sponge in my mouth. My head is pounding like the bass drum in a marching band. Every muscle in my body threatens to betray me with each passing step. I can barely stand. My forward progress, with the weight of my pack and weapons, could be measured in inches. Yet, I have miles to go. I don’t dare think of the total number. It’s too large. Instead, I must focus on each step. “Just one more; just one more,” I keep repeating to myself. Surely, if someone observed me over the last twenty hours or so, they would think I was crazy. There are plenty of those these days – crazy people, I mean. No shortage whatsoever. Millions have been driven to madness. 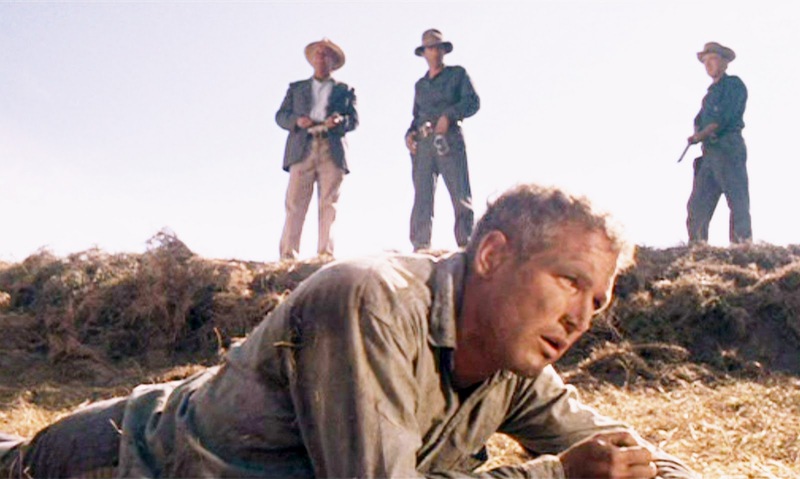 Millions more have died in the last few months – died of starvation; died of exposure; died of dehydration, as I may shortly; died … of madness. A fog has settled over our country and driven the population to the brink … the brink of insanity, the brink of extinction. I’m close myself – close to madness. That’s why I’m writing this. I’m hoping that writing down my thoughts will keep me sane. I knew someone, what seems like a long time ago, who did the same thing. He kept a journal of his thoughts and actions. He tried to fight the insanity that reached out for each of us. Some, it beckoned with a siren’s song. Some, it grasped with dirty-nailed fingers and hands covered in blood, dirt and grease. Others, the madness led like a pied piper over a cliff into a sea of irrational thoughts and actions. I need to get moving again. My body and my brain have locked arms in protest. They’re singing kumbaya and refusing to get up. Where are the stinking riot police when you need them? I need some jack-booted thugs with water canons and batons to break up the protest and get my lazy mind and body moving again. Put down the pencil and pick up the pack. Do it, you weakling. Move! If you liked this excerpt from the sequel to The Union Creek Journal, and you haven’t read The Journal yet, you can purchase it for your Kindle reader or in PDF format. I’m pretty sure I can see storm clouds on the horizon. Hopefully, I’ll the have sequel to The Journal finished before the storm hits. In the meantime, stay tuned for a sample chapter from the sequel next week. Keep your head down and your eyes on the horizon. Although The Union Creek Journal’s final entry has been posted and I’m working on the sequel, from time to time I’ll still post items that I think may be of interest to my readership here on the UCJ blog. One of those items is the LDS Preparedness Manual. The new 2012 version is out and available for free download. WARNING: You must provide an e-mail address to access the free version of the manual. However, I gave them my e-mail address some time ago and the only e-mails I have received have been notifications of new versions of the manual being available.